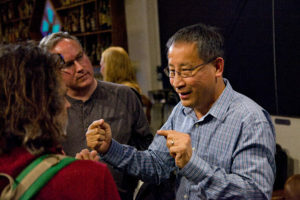 Asteroid Institute Executive Director Dr. Ed Lu recently spoke at Long Now Foundation’s Interval Bar to make the case that humanity needs a map of Near-Earth Asteroids. Long Now’s Executive Director Zander Rose hosted the talk. 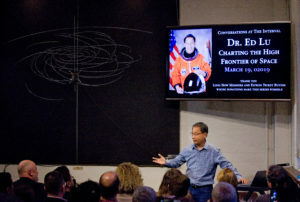 Dr. Lu explained how previous frontiers have only been explored with investments in mapping and how space is the next frontier to need one. The Long Now audience, online and in person, then asked Dr. Lu questions about the map, how to deflect an asteroid, and many more topics. The talk was a part of Long Now Foundation’s monthly seminars focused on encouraging long-term thinking. You can watch the complete talk here or listen to it here as a part of Long Now’s Conversation at the Interval podcast series.